Bushmills launched its travel retail only Steamship line back in 2016 and the first release in the series is this whiskey right here, the Bushmills Sherry Cask Reserve. Subsequent editions have been the Port Cask and the Bourbon Cask editions. Both of which I’m trying to get my hands on, but isn’t exactly easy since they’re TR only… freaking TR. Besides being a liter in size, what makes the Bushmills Sherry Cask Reserve unique is that it’s completely aged in sherry casks and not blended with anything else before Bushmills releases it. They’re obviously known for their blends like the Red Bush but even when they release single malts, except for the Bushmills 10, it’s a blend of casks. 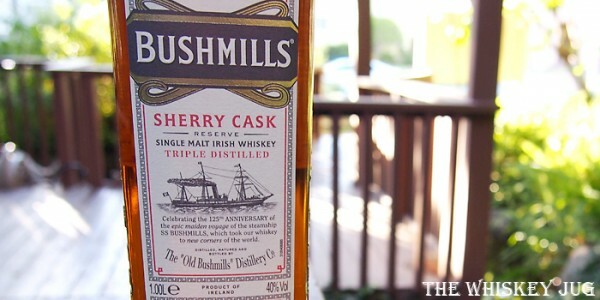 The Bushmills 16 uses bourbon, sherry and port casks and the Bushmills 21 uses bourbon, sherry and madeira. Sherry, dark fruit, nuts, toffee, char, spice, honey, cocoa and a bit of citrus and raisiny dark fruit. Malt, cocoa, sherry, dark fruit, spice, honey, nuts, ash and a light bit of citrus, vanilla and shortcake. Great balance, medium body and a soft warm feel. 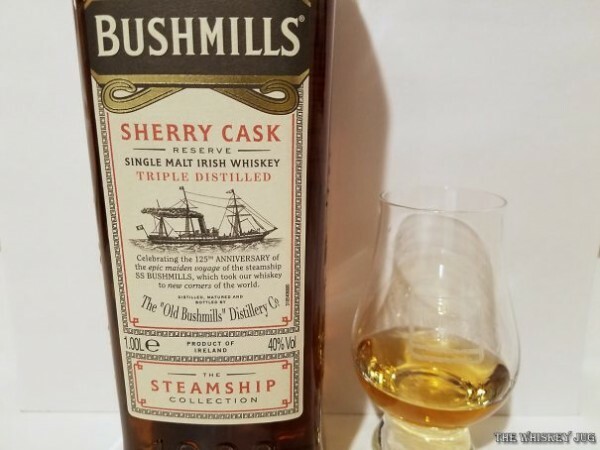 A soft supple sherried malt, the Bushmills Sherry Cask Reserve has a nice sherry heavy aroma that has a citrus meets dark fruit undertone like a blueberry lemon type of combo. The palate carries a strawberry shortcake essence and a touch of vanilla and citrus undertones and the finish blends them together in an elegant fade. My only major complaint is the lack of depth. I know I say it a lot when it comes to Irish Whiskey but PLEASE, Bushmills, release limited editions like this at higher proof. I’m not saying cask strength, but if done at 46% and NCF this Bushmills Sherry Cask Reserve would probably be screamingly good. Keep the oils intact, add less water and you’ll have something amazing on your hands. As-is it’s simple, elegant and easy to sip, but a little light all around and that, as I pointed out, is easily fixed. Big thanks to Caroline for grabbing this Bushmills Sherry Cask Reserve for me on her travels! 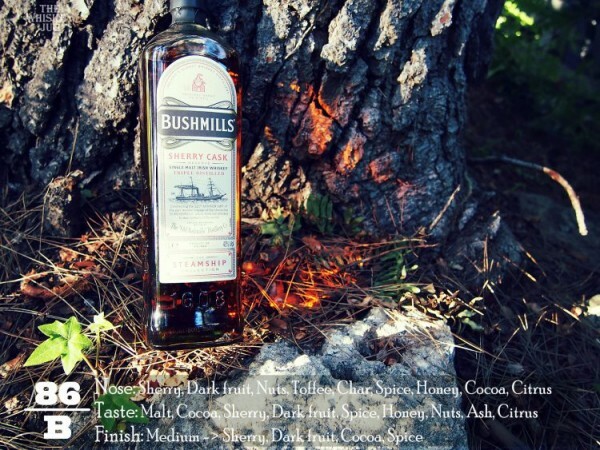 The post Bushmills Sherry Cask Reserve Review appeared first on The Whiskey Jug.